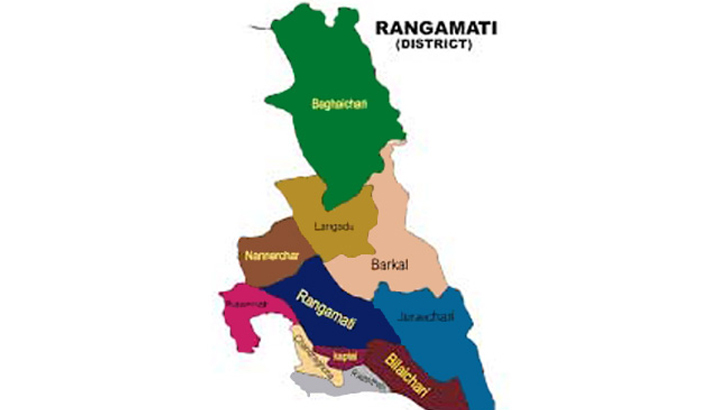 Masked criminals hacked district unit of Mohila Awami League vice-president Jharna Khisha, her husband and son at their house in Bijoy Nagar area of Rangamati district town early Thursday. Family members said that a masked-gang of criminals, numbering 10/15, stormed into the house and hacked them randomly with sharp weapons, leaving Jharna Khisha, her husband Jitendra Lal Chakma and Ranbishna Chakma injured. The injured AL leader was admitted to Rangamati Sadar Hospital in critical condition. Earlier, a leader of Jurachhari upazila unit of Jubo League was shot to death by unidentified miscreants at Mitingachhari Bazar and an Awami League leader was hacked in Belaichhari upazila.